Please note: we calculate mileage using the fastest route on Google maps, an additional 50 pence per mile will be added to the total shearing fee. An extra £5 per alpaca is charged for a two year fleece. Provided for an additional £25 PLEASE NOTE: The awning is a requirement for anyone who does not have an undercover shearing area, whether rain is forecast or not. This is to ensure that shearing can take place regardless of the weather outside. no, thank you, I have an electrical point nearby. please let us know of any dates you will NOT be available for us to visit. Thank you for your shearing booking. We will be in touch shortly with your invoice. Chris, & the pukkapaca team. 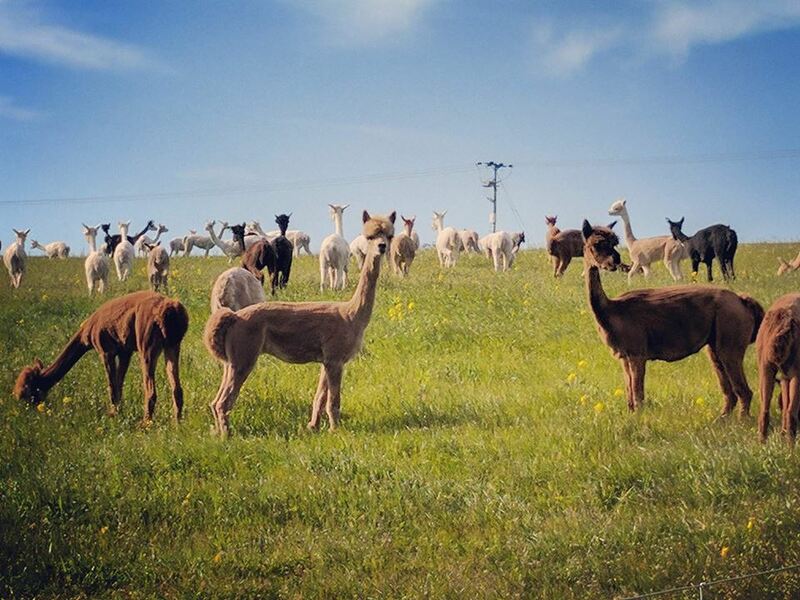 Having our own herd of around 150 alpacas means that we understand your needs. We pride ourselves on delivering a service that is both calm and efficient. We want your shearing day to be a stress free experience that everyone can enjoy. We have been shearing the Charnwood Forest herd since our second year of business, we felt at the time that this was the best way to guarantee the type of shearing day to suit our needs in the time scale and manner of our choosing and we have never looked back since! Following the success of our own independent shearing we decided to branch outside of our own herd and are now privileged to shear a wide variety of herds amounting to over 1000 alpacas positioned all around the UK. Based on our own experiences, we offer a premium service, tailored to the particular needs of your alpacas. We put the health, safety and welfare of your animals at the top of our priority list. We will handle your alpacas with the utmost respect and work to the current bio-security standards whenever possible to ensure everyone has a pleasant and healthy shearing day. Guaranteed shearing date once booking is confirmed. By booking with us you agree to our Shearing Terms & Conditions. It is very important that you download and read these ready for shearing. Please download and read our Shearing guidelines - this will ensure you are fully prepared for our visit.